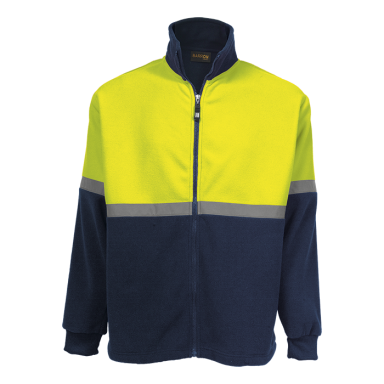 New safety fleece with reflective tape across the chest and sleeves. Other details includes contrast collar, chucky front zip, side pockets and rib cuff. 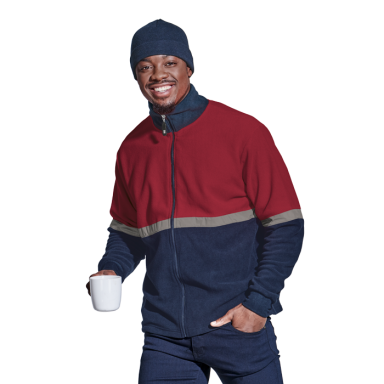 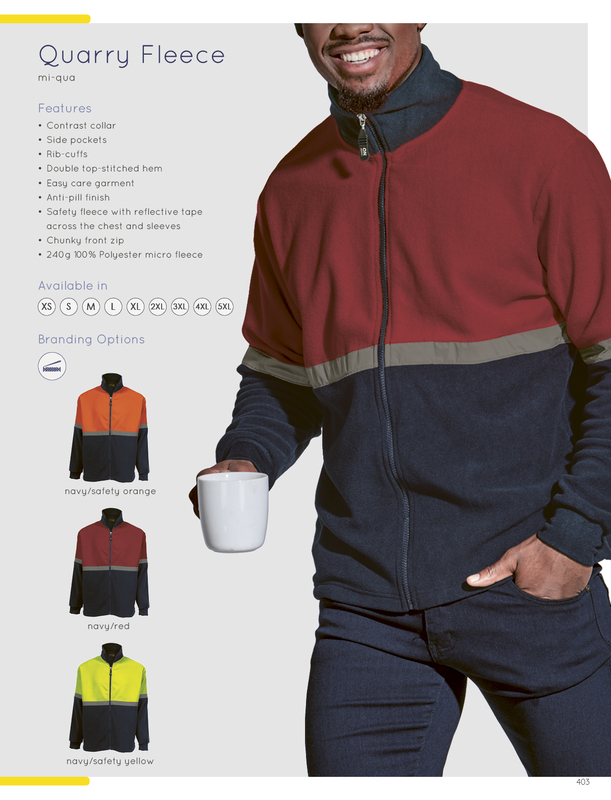 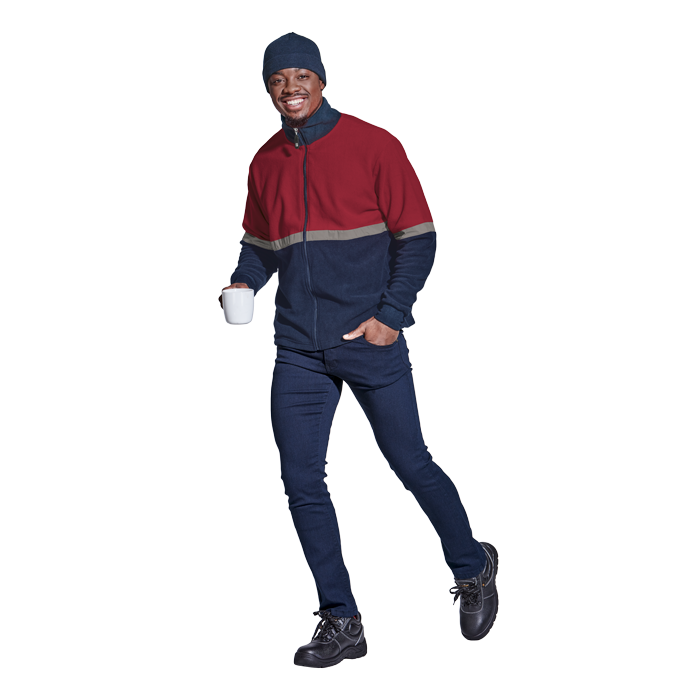 This two-tone fleece design is available in two colourways.